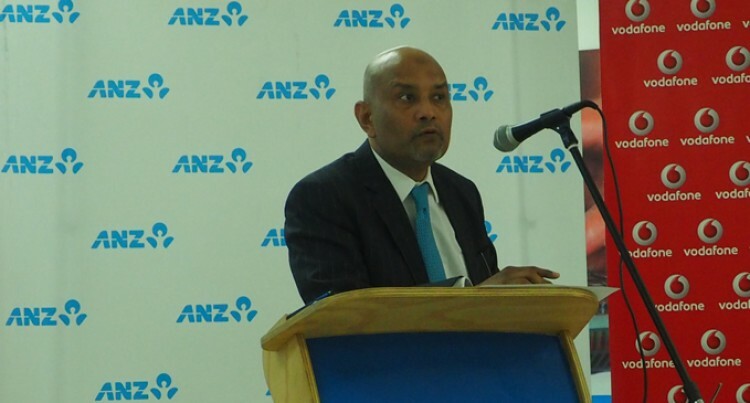 ANZ Acting chief executive Fiji, Saud Minam, said the aim of the initiative was to make online banking more convenient and affordable for ANZ and Vodafone customers. “This partnership aligns perfectly with our strategy to help customers access fast, convenient and secure online banking services from the comfort of their homes or anywhere in Fiji from their handheld mobile devices and tablets,” he said. “We recognise technology plays a significant role in our customers’ lives and that we need to provide new and innovative solutions that meet their evolving needs. Vodafone Fiji chief commercial officer, Ronald Prasad, said they were noticing that more people are accessing data on their smart devices as part of their daily lives. “Within the Vodafone market and Fiji, more and more people are subscribing data on their smartphones,” he said. “We have statistics that indicate 35-40 per cent of the people today are using data on their smartphones. This is expected to increase beyond 50 per cent towards the end of this year. He indicated a few things are still being done in optimising ANZ’s website to suit smaller screens and eventually launching an ANZ banking app in Fiji. Security, Meanwhile, Mr Minam also highlighted the need for customers to remain diligent in keeping their Internet Banking details secure. This, he said was as incidents of money transfer scams and other such online fraudulent activities appear to be on the rise in Fiji and across the Pacific. “I would urge customers to regularly change their Internet Banking passwords and card PINs, starting today, and always protect access to your computer and mobile devices,” he said.